Another new area for the use of cold lasers is the treatment of patients to help them stop smoking. Cold laser smoking cessation therapy uses pinpoint cold laser equipment to activate acupoints that reduce the hunger for cigarettes. There is some controversy in this area and some companies are over-reaching the FDA to promote their products. This is one area where the patients can really speak for themselves. In some treatments, it is difficult for patients to tell the cold laser has accelerated their healing however, it is easy for patients to say that they have less desire for cigarettes after a cold laser treatment. One international business has focused on helping patients kick the smoking habit using cold laser therapy as a modern form of acupuncture. At the Anne Penman Clinics, they have found the success rates for cold laser assisted therapy are four to five times that of most other smoking cessation programs. This program originated in England in 1992. Although there are hundreds of organizations across the US using cold lasers to treat cigarette addiction, the Anne Penman is one of the most well known. The Anne Penman program , which claims a 90%+ efficacy rate,combines cold laser therapy with personal guidance as well as a 24-hour hot line. The laser technician uses cold lasers to target acupoints on the body. The cold laser doesn't have the "ouch" of acupuncture and it causes the body to release natural chemicals (endorphins). The endorphin release has a calming and relaxing effect on the body. This helps to reduce withdrawal symptoms and nicotine craving. Some laser therapy patients report a feeling of mild sense of euphoria following a cold laser smoking cessation treatment. In addition to stimulating an endorphin release, the laser stimulates the body's natural ability to detoxify the nicotine, helping the ex-smoker through the nicotine withdrawal more quickly. The Anne Penman organization has treated close to 40,000 clients for smoking cessation and weight loss. In August of 2005, the Anne Penman organization was featured on "Good Morning America". On this show, Anne Penman declared a 64% success rate in helping people quit smoking. Although there have been studies conducted on the effectiveness of cold laser therapy to help people stop smoking, the use of cold lasers to treat smoking cessation is currently in clinical trials. There are some studies that show positive results and one study that show little or no results. 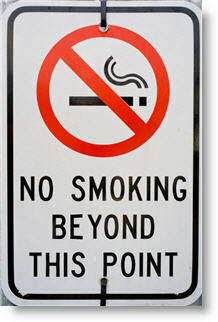 incorporated into your existing health care practice or, as a free-standing smoking cessation and addiction clinic. The Thor LLLT smoking cessation system is specifically designed for this application and they allow for fast, easy set-up. The Laser Probe delivers 200 mW of energy using an 810 nm GaAIAs laser diode. 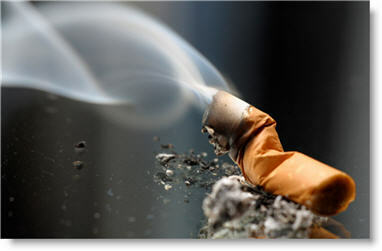 Thor laser are used in a majority of smoking cessation centers throughout the world. They are also the recommended laser of Ann Penmen. The Anne Penmen training program cost between $5000 to $6000 dollars plus about $1500 per year maintenance to be included in their IRB. If you want to advertise for this service, you must be included in an IRB. If you will be performing this service as part of a regular practice and you will not advertise, you do not need to be included in an IRB. The Thor system for "acupuncture only" with only the auricular probe costs about $7000 to $8000. All our acupuncture style systems come with the protocol based on the successful study. Smoking Cessation and Addiction Programs must be covered by an Institutional Review Board or IRB approval. By working with the Ann Penman group, they can create a complete turnkey package for practitioners wanting to add smoking cessation therapy to their practice. The package includes comprehensive training on starting a smoking cessation clinic and inclusion into the Ann Penman IRB, allowing you to advertise your new services.